For those of you who visit here and were unaware...where've you been?? ?.....I am part of an illustrious crew known as Possum Magic. 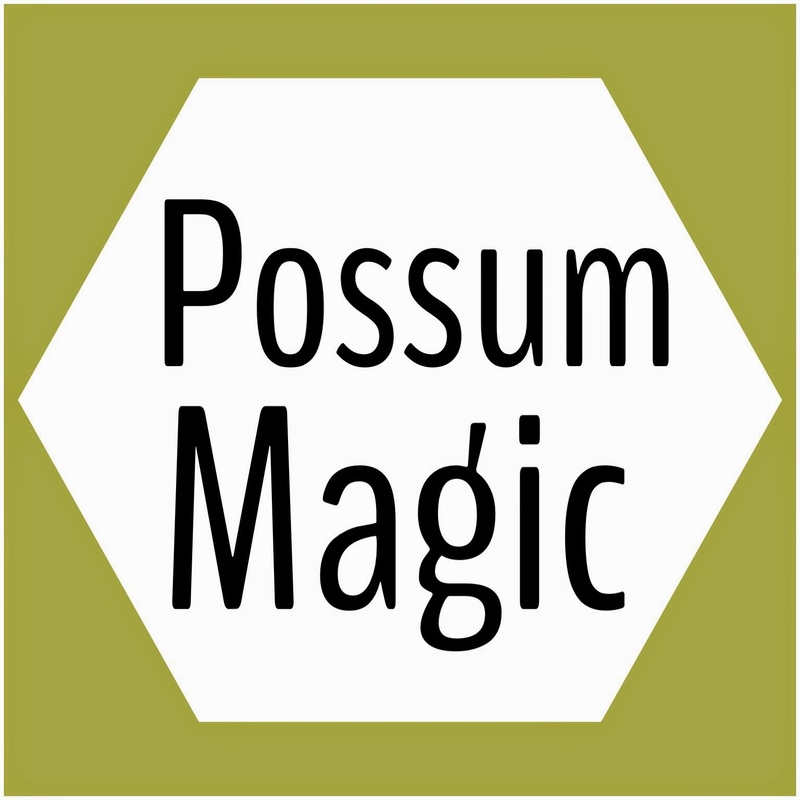 Possum Magic is a Trans Tasman Round Robin Quilting Bee made from some fair dinkum Aussie girls and 3 Kiwis.One of the Kiwis is an import from France but we're not picky Down Under. We have a schedule and I always receive from Jane and then send onto Alice in Wellington which is a godsend since I always finish the day it's due and probably because I know she's only 1 days post away!!!! This is what I received from Jane, Carla's centre improv leaf...love...with Jane's first border of green and white bricks fading out to just white/low volume bricks....love love love. To colour or not to colour?? That was the question....of course I had to colour!! Then I thought every garden needs some crawly, buggy inhabitants, so along came these guys from Pieced By Numbers' online Craftsy shop. A little bit of sewing, piecing, ripping of paper ( Not my hair phewww ) and a fair bit of pinning later we have this......whaddya think peeps? I really enjoyed working on this border and was sad to see it go, but I'm hoping Carla likes her little quilt so far. You've done an amazing job!! I still think it looks finished; good luck to Alice in working in a next round! ;) I wouldn't even know where to start!! I get to keep this at the end? Yippee! I just love love your addition to this - of course you had to go with colour, and it looks so fun! Well done Rebecca. It looks great. Carla's is tuning into a garden now and there's lots of scope for future rounds. I love what you've done with it. Very pretty. I love those lady bugs. They're adorable! 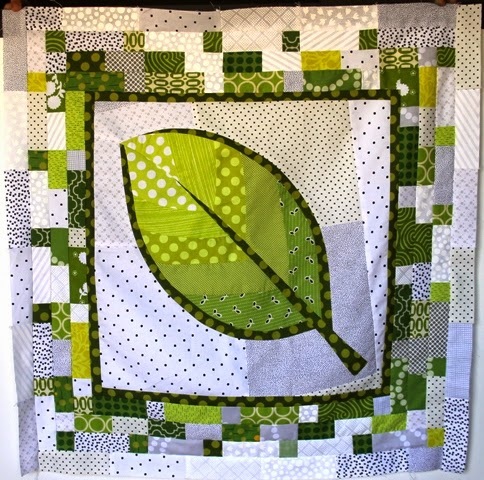 I love those ladybugs - just perfect for this quilt. WOW! This is amazing. 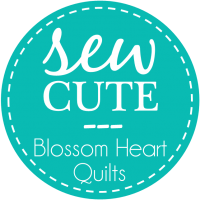 I love the idea of a round robin quilting bee. I really should look at setting one up. This is amazing and I just love those little lady bugs! Very very cool - I love the flowers and the ladybird is too cute! oh wow, it's stunning! You did a great job!